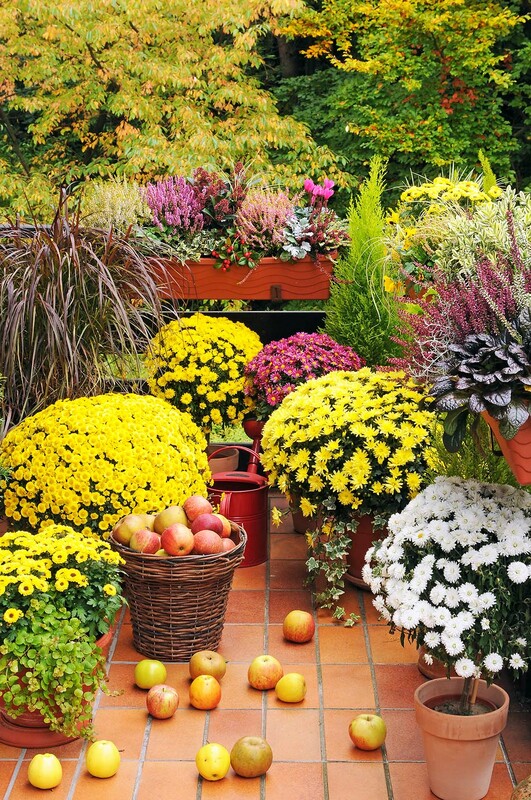 Group containers filled with colorful perennials to maximize seasonal decor. Perennials tend to have larger root systems than annuals, so size is a very important factor in determining container gardening success. 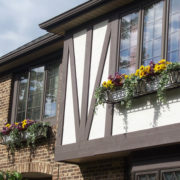 Larger pots also give perennials room to “overwinter”, or last multiple seasons, because the larger amount of soil and roots protects the plants from freezing conditions. Pay close attention to plant tags when choosing your perennials. 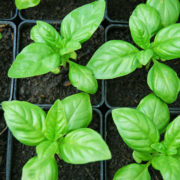 Consider how big the plant will be at its fullest, and pay special attention to planting depth. For plants that don’t require as much root room, a shorter container such as this Lattice Premier Planter will work. If you are planting larger perennials that need room to grow, opt for something like the Laguna Premier Planter. Pick a container for perennials that has at least one hole for drainage so the roots get some air circulation and don’t rot. More holes can be better for some plants, but don’t pick a container with too many holes or the plant will lose all nutrition from the water. The material can also play a big role in how a container holds water. 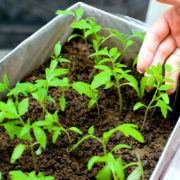 Plastic containers are lightweight and tend to hold moisture well. Clay pots can be more attractive but may not hold water as long if they aren’t glazed or sealed. A good alternative is an imitation or composite resin pot, like these Eloquence Tall Resin Planters, that are lightweight and hold water well. Perennial flowers containers should compliment the style of your home and the flowers in the pot. Consider the look you are going for; if it is a sleek, modern look opt for a container like the Devondale Round Planter. A more traditional style garden would work well in a container like the Fieldfare Planter. Perennials do well mixed together in large containers or separately. A grouping of small containers like the Glendon Tapered Round Planters is a trendy and stylish option to showcase plants in a way that can be rearranged and moved. Remember than perennials in containers can thrive for years, so pick a container you will be happy with for years to come. The good thing about perennials is that they are generally hardy plants. If you feel overwhelmed trying to find the perfect container for perennials, experiment a bit until you find one that fits your needs. You plants can always be moved from one to another. For more information and resources on perennials, visit the Perennial Plant Association. 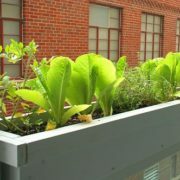 Soon you will be on your way to a beautiful container garden year after year. 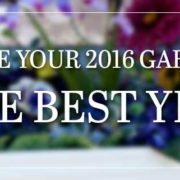 Fresh Ways to Use Christmas Wreaths Jumpstart Holiday Shopping with Garden Gifts!